Do you agree with North’s rebid? 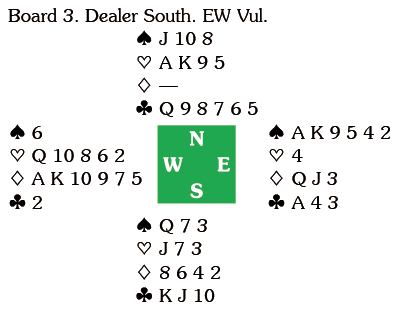 As the cards lie 3NT is unbeatable, but if West finds a diamond lead 4 should fail. West went with the A – her partner had a red king – but it was the wrong shape! Declarer was in control and emerged with eleven tricks. Kudos to the four West’s who found the diamond lead that defeated 4 . 3NT was in no danger and declarer took ten tricks. 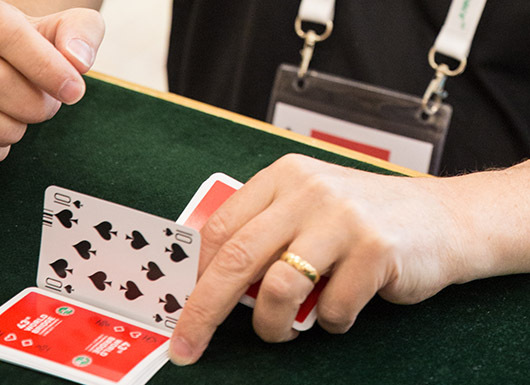 3NT was a huge favourite – only 17 of the 106 pairs preferred the spade game. North cashed the A and switched to a club. 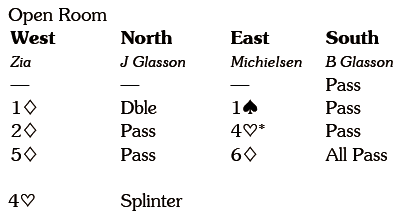 Declarer won with dummy’s ace, took the top spades pitching a club and cross-ruffed clubs and hearts. North led the A and continued with the 5. Declarer ruffed in dummy, cashed the A and then cross-ruffed in clubs and hearts. She cashed the A and had only to pitch the Q on the K to get home. 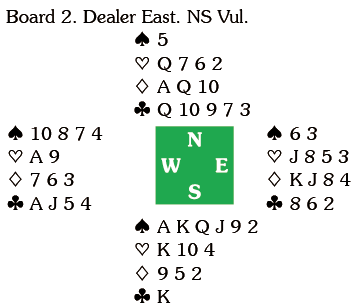 Instead she ruffed a spade to hand and cashed the A; North’s discard was a bitter pill to swallow, not least because it cost 16 IMPs. 19 pairs reached 6 – but three declarers failed to get home.